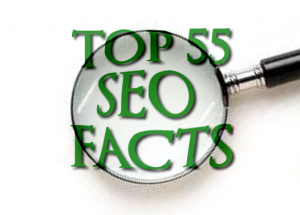 Here at SEO Essex, we thought we’d share our expertise with those of you in search of SEO tips. To make use of these helpful pointers, you don’t need an extensive understanding of SEO, just some web design and beginner knowledge. So, what are you waiting for? If you must use Java Script drop down menus, image links or image maps – do ensure that you put text links on the page so the spiders can follow. Content is incredibly important, which is why it needs to be well written and unique with a strong focus on your primary keywords. Links are at the next level of importance. You will need to build a network of quality backlinks using your keyword phrase as the link. If the link is not logical – then it’s of no use. Don’t be obsessive with PageRank – it is only one part of the ranking algorithm. Ensure that you have an exclusive keyword focused Title Tag on each page of your site. Fresh content can assist in improving your rankings – so try to add new and factual content to your pages on a frequent basis. Make sure that links on your site and within your site you your keyword phrase. Focus on search phrases not keywords and where possible, try to add your location into the phrase to improve your local search rankings. Ensure that your site is designed with SEO in mind. Utilise keywords and keyword phrases correctly in your text links, image ALT attributes and domain name if possible. Check for canonicalization issues for both www and non-www domains. For instance, if http://www.domain .com is your preference, then http://domain.com should redirect it. Be sure to check the links throughout your site that lead to your homepage. Outside links go to http://www.domain .com and internal links go to http://www.domain.com/index.html. Scrap the index.html or default.php etc and instead link back to your domain. Word of warning, avoid using Frames, and keep use of Flash and AJAX to a minimum for the ultimate in SEO results. Your URL file extension is not a matter of concern in regards to SEO, whether it is .html, .php, .htm or any other. The fastest way to get your site spidered is by getting a link to it through another quality site. If you cannot change the content of your site often, then it requires a blog instead as spiders like fresh content. Aim to blog three times a week. Think quality not quantity when link building. One firm link can do far more than a dozen poor quality links – which may do more damage than good. Do not stuff your site with text full of keywords as search engines want natural language content. Your text should include anchor links but the text around your links should be related to your keywords. Basically, surround the link with descriptive text. If you are use a shared server, make sure you complete a blacklist check to ensure you are not on a proxy with a spammer as this could affect your rankings. Google may see you as a potential spammer if you use services that block domain ownership information. When optimising your blogs, be certain to optimize your post title tag individually from your blog title. Texts, Popularity, Links and Reputation are the main elements of SEO. Work to make your site user-friendly, as this will enhance your link building ability and therefore your popularity. Don’t be tight with linking out to others, instead be generous and this will in-turn encourage others to link to you. Unique content and quality content and liked by search engines, so make sure that your content is both. If you insist on a splash page for your main page – be it Flash or a singular, large image – place navigational labels and text below the fold. You can apply valuable links to your e-mails and newsletters too, they do not all have to be within your site. You gain little from paid links, other than a few clicks, unless the links are embedded in body text. .edu domains are given a nice greeting from search engines, so why not run a search for non-profit .edu sites that are in search of sponsors? Linkbaiting is good content, so get writing! Specify each page with its own single keyword phrase and avoid using several on each page. Make sure your call to action is crystal clear for all to see. SEO is an on-going task, so expect to work on your SEO daily. Cater to authority sites and bloggers who may like to link to you. Get the owner or CEO blogging on your site, as the voice of your company, your credibility could go through the roof. Its personal touches like this that can really make a site an utter success. Optimise the text in your RSS Feed by utilising descriptive, keyword rick text in your title and description. With all images, be sure to use captions. Image can rank dependant on the text surrounding them, so pay attention to the content surrounding your images. Good global navigation and linking will provide you a better standing ground as opposed to being reliant on an XML sitemap. Sign out of Google and add &pws=0 to the end of your URL in order to NOT see Google’s personalised search results. Links, certainly deep links from a high PageRank site are beneficial as they indicate high trust. Utilise absolute links in order to lessen the on-site link navigation to problems. Research whether your hosting company provide the service of ‘Sticky’ forwarding? This is incredibly beneficial for those of you moving to a new domain as it allows temporary forwarding to your new domain from your old. Social Media Marketing is part of SEO. The more you know about it, the better. This includes the likes of Facebook, Twitter, even Instagram. If you want your videos to be located by crawlers, be certain to create a video sitemap and list it within your Google Webmaster Central Account. Videos that appear in Google blended search do not come from You Tube, so do not rely on You Tube – instead use other video sites such as MSN and Yahoo. As you would with images, surround your videos with keyword rich text. Use the following words within your photo ALT descriptions and captions: image and picture. Check that you have ‘Enhanced Image Search’ in your Google Webmaster Central Account. Where possible, aim to add reviews, sharing functions, visitor comments and ratings to your site. Try to broaden your choice of services for a wider variety, include the following: video, podcasts, news and social content. When thinking of purchasing or exchanging a link, be sure to check the cache date – the more recent the better. Do this by searching for “cache:URL” where you substitute “URL” for the actual page. If you have pages on your site that are similar and you are concerned about having duplicate content, ensure that the correct one is include in the search engines by placing the URL of your preferred page in your sitemaps. Be certain to check your server headers – this is a matter that can be easily overlooked. Search for “check server headers” in order to obtain free online tools for this to help you.